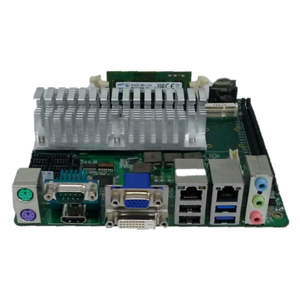 EMB-QM87 Mini ITX is an Intel® Haswell-based platform, engineered to overcome harsh shock and vibration or other rugged environmental factors. The product is designed for a long-term supply, which allows it to be implemented in various applications, such as industrial computers, vision systems, digital signage players, and medical computers. Based on the Intel® QM87 chipset, EMB-QM87 uses ECC modules and supports DDR3 RAM up to 16 GB. Installed with 3.4GHz Dual-Core and 4th Generation Intel® Core™ i3/i5/i7 Processors, the board is capable of responding to high-performance demands. Board can be customized per client's needs.